Check out the latest photos of Nicki Minaj, Chris Brown J Cole and more as we keep you up to speed on music's most important going-ons of the week. 2. The two have been front row at a ton of shows this week. 3. These outfits are definitely some of the best that the married couple sported. 4. Lil Wayne celebrated his 31st birthday in a Los Angeles club. 5. He had not one, but two cakes! 6. Meanwhile, Big Sean was getting his geek on at Google HQ. 7. 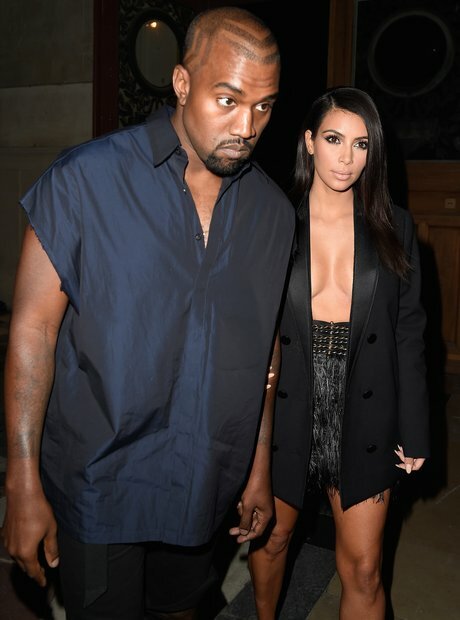 Kanye West, Kim Kardashian and North West headed out for the evening during Paris Fashion Week. 8. Yes, that is a 'Yeezus' Jumper that baby North is wearing! 9. The family took a seat in the front row for the fashion show. Most probably North's first of many! 10. Drake got a new tattoo... The 'praying hands' emoji! 11. Beyoncé, Jay Z and Blue made a visit to an art gallery. 12. And Beyoncé got really, really involved. 13. Ciara and baby Future watched a film together on a flight to Paris. 14. Beyoncé posed for a photo wearing a beige mini dress. 15. Drake celebrated the one-year anniversary of the release of NWTS. 16. Chris Brown was out promoting new album 'X', which debuted at no. 2 in the USA. 17. Drake and Lil Wayne took their tour to LA. 18. Andre 3000 was spotted out in this amazing beanie-sunglasses combo. 19. Idris Elba attended the Mobo Nominations where he was awarded with the first 'Inspiration' Award. 20. 'Every Little Word' singer MNEK was nominated for 'Best Newcomer'. 22. Ella Eyre was on hand to perform at the event. 23. Nicki Minaj went to visit her friend August Alsina hospital and said he's "doing better"
24. Nicki Minaj also bumped into Madonna this week and grabbed a selfie. 26. Chris Brown, Trey Songz, Tyga, Nick Cannon and more took part in a celebrity charity football game. 27. Breezy was taking on everyone while he Lil Wante and Amber Rose watched on. 28. Someone was making Nicki Minaj happy as she was glued to her phone backstage at a concert. 29. Here's a close up of the gold studded bra and leggins that Nicki wore. 30. Chris Brown and Usher took to the stage to person 'New Flame' together at a US concert. 31. Backstage Breezy and Usher were hanging out with Skrillex. 32. And Usher hooked up with Diplo whilst in Vegas to perform at this epic-looking party. 33. The Weeknd kicked off his 'King Of The Fall' Tour in Brooklyn on the weekend. 34. J Cole and Questlove have been hanging out. 35. Breezy was sporting a cool tee and rucksack while travelling between shows.